M.D. 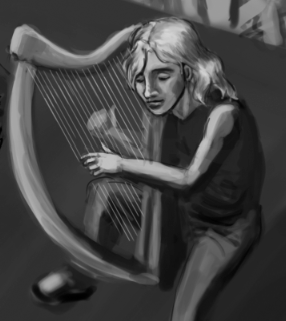 Sanchiz wrote a Tolkien Week post over at her very cool blog. Go check it out! If you want to join the fun, here’s how: 1.) Take the Tolkien Week banner and place it at the beginning of a blog post. 2.) Link to gracemakley.com (because I made the banner and that’s good manners). 3.) Write a post about anything related to Tolkien (how did you first discover the books? What is your favorite movie interpretation? Any scenes or lines from the book that you find especially meaningful? Do you have a rad Tolkien collection you’d like to show off? Who’s your favorite Tolkien illustrator?). 4.) Let me know about your post by commenting here, and I will happily link to you as part of the Tolkien Week festivities. My previous Tolkien Week Posts have been: The Hobbit (1977), The Return of the King (1980), and Unsung Illustrators. What better time than Tolkien week to celebrate all the Tolkien things I’ve managed to collect over the years? Here’s the collection. I mostly did a sweep of nearby shelves, without digging too deeply—I could have beefed it up significantly with all the movie posters, but most of them are rolled up in the closet. And yes, that is an official Glamdring replica sword, which usually hangs on a very pretty display plaque on the wall. Feel free to grab the Tolkien Week banner and share your own collection—or anything else you want to share about Tolkien. I’m running Tolkien week through Sunday, so you still have plenty of time. Sorry for the delay, folks. 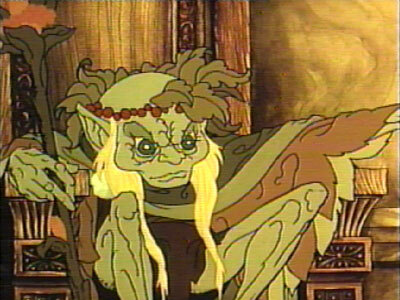 We’ll get back to Animated Tolkien tomorrow (there are still the virtues of the Bakshi LOTR to extoll, after all) but tonight will be a short post. To those of you on your way out to see The Hobbit midnight premiere, I wish you luck and godspeed. Also, don’t discuss any of the details with it within my hearing, if you can help it. I’m going to see it by the end of the weekend, but it’s a busy weekend in the Makley household and we’re still figuring out our plans. If you want to participate in Tolkien Week (it’s on through Sunday, as far as I’m concerned) here’s how: 1.) Take the Tolkien Week banner and place it at the beginning of a blog post. 2.) Link to gracemakley.com (because I made the banner and that’s good manners). 3.) Write a post about anything related to Tolkien (how did you first discover the books? What is your favorite movie interpretation? Any scenes or lines from the book that you find especially meaningful? Do you have a rad Tolkien collection you’d like to show off? Who’s your favorite Tolkien illustrator?). 4.) Let me know about your post by commenting here, and I will happily link to you as part of the Tolkien Week festivities. We all know about Alan Lee and John Howe. We’ve seen their artwork on the DVD cases and in the movies themselves. We’ve bought the LOTR sketchbook, and the How to Paint Like John Howe book (not its real title). We’ve watched all the DVD extended features, and we’re intimately familiar with Alan Lee’s crooked teeth and John Howe’s magnificent beard. We’ve watched them sketching in Hobbiton, seen John Howe trying on armor, sighed over their artwork, and wondered what it takes to bring that amount of vision and artistry to life. We love them to pieces. But they aren’t the only ones. I love sad and beautiful things, and she handles watercolors so well. And that’s all I’ve got tonight—time to finish this margarita and go to bed. 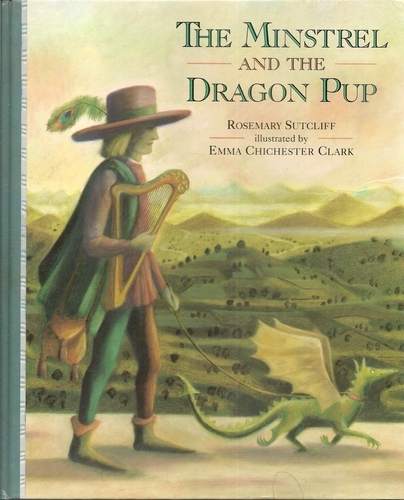 Who’s your favorite Tolkien illustrator? And do you have any elaborate plans for seeing The Hobbit this weekend? It’s still Tolkien week! Here’s how to play: 1.) Take the Tolkien Week banner and place it at the beginning of a blog post. 2.) Link to gracemakley.com (because I made the banner and that’s good manners). 3.) Write a post about anything related to Tolkien (how did you first discover the books? What is your favorite movie interpretation? Any scenes or lines from the book that you find especially meaningful? Do you have a rad Tolkien collection you’d like to show off? Who’s your favorite Tolkien illustrator?). 4.) Let me know about your post by commenting here, and I will happily link to you as part of the Tolkien Week festivities. In case you missed it, yesterday’s post was about the 1977 animated version of The Hobbit by Rankin and Bass. We’re gonna stick with Rankin and Bass for another day. They made The Hobbit, it was great, lots of people liked it, even if the wood-elves looked like ogres (seriously). Then, in 1978, Ralph Bakshi makes his animated version of The Lord of the Rings (which we’ll discuss in a day or two). But this movie ends at Helm’s Deep, not even all the way through the second book of the Trilogy. Enter Rankin and Bass to save the day! In 1980, they released The Return of the King, a movie that steps in roughly where Bakshi’s The Lord of the Rings leaves off. Remember how I said The Hobbit is an animated children’s movie with a great soundtrack? Well, they tried to do the same thing with The Return of the King. The obvious problem here is that, unlike The Hobbit, The Return of the King isn’t actually a children’s story. The result of this awkward combo (serious plot + singing orcs?) is entirely laughable. And that’s what you should do. You should laugh, and keep laughing. Don’t cringe or cry, because what’s the point? And if you laugh long enough, you might work your way around to finding some real delight in the ridiculous sincerity of this lovely little film. For examples, you may return to the same playlist I linked to yesterday, this time with animation included. I once found this entire film on youtube, but those days have passed (the days have gone down in the West behind the hills and into shadow…) The last time I watched it was more than a year ago, when a gentleman I was seeing managed to procure it for us via internet download. It’s probably high-time I purchase an old VHS copy or something. Anyway, by far the most representative track is ‘Where There’s a Whip There’s a Way‘. What is it about this song? It must be that disbelief, that, “Wait, is this really happening?” feeling you get when you’re following Frodo and Sam through Mordor and suddenly there’s a chorus-line of orcs. The funny this is that the lyrics are even inspired by the book. “Where there’s a whip there’s a will, my slugs,” says the orc slave driver (Lord of the Rings page 941). It’s a catchy tune, and its placement (and very existence) is hilarious. It’s one of those things that, any time you encounter another person who knows what you’re talking about, the two of you simply can’t help breaking into a rousing rendition, complete with whip sound effects. Basically this song, which is sort of an abomination, is also a beautiful thing, and the world would be just a little less fun without it. 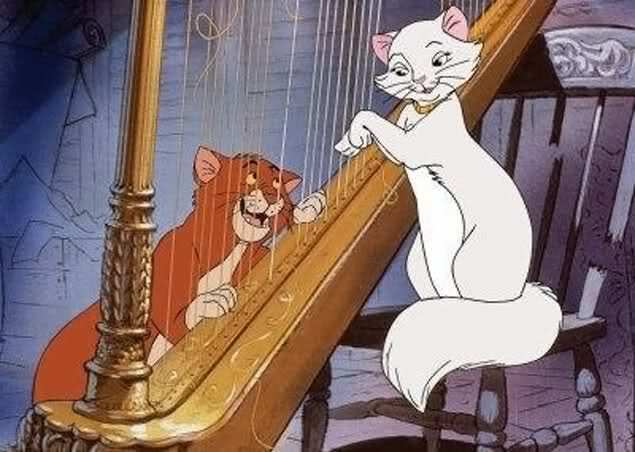 I genuinely like all the music in this movie. 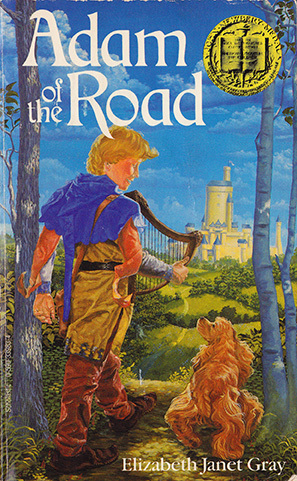 It opens with Glenn Yarbrough’s rendition of ‘Frodo of the Nine Fingers and the Ring of Doom‘—another nod to the book; in the chapter The Fields of Cormallen when the quest is completed, a minstrel of Gondor begs leave to sing and says, “I will sing to you of Frodo of the Nine Fingers and the Ring of Doom” (Lord of the Rings page 965). I’m running out of time for deep analysis and would like to post this before the day gets any older, but both ‘The Bearer of the Ring’ and ‘The Towers of the Teeth’ are songs with some real foreboding in them. Amongst all the silliness, there’s something in them that catches at the heart. That’s all we have time for today. More Tolkien topics to come—please stay tuned! And if you have anything to say on any Tolkien-related matter, please use my banner and join the Tolkien-week festivities (details at the top of this post). Has anyone else seen the 1980 Return of the King? I’d love to hear from you in the comments, whether you share my delight in the movie or find it too silly to take. A stand-alone Card book that I haven’t read yet. One of his earlier works. This is a version he went through and revised, post-Ender’s Game. I’m at about page 30, and so far it is a compelling read with some fascinating concepts, which is exactly what I look for in a Card novel. 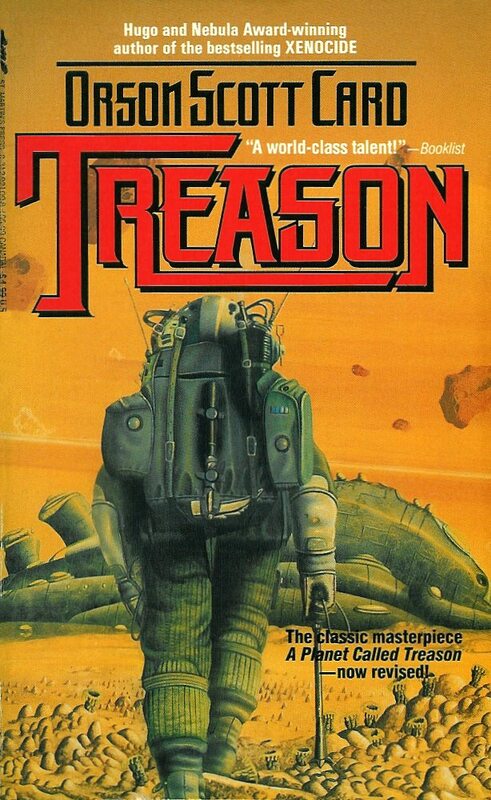 Digression: I am aware that Orson Scott Card has been politically vocal in ways that myself and many of my colleagues find incompatible with our perception of the world. I still read his books, however, because I admired his writing long before I knew anything about his politics, and I have been both lifted and broken by his words too many times to cast them out of my life. Even when we disagree with people, isn’t it okay to still love them for the beautiful things that they are? Shouldn’t we try? I’m reading through this series very, very slowly—I began them in middle school, and read book 4 last spring. Book 2 (Deep Wizardry) is my favorite; the themes run powerful and deep. 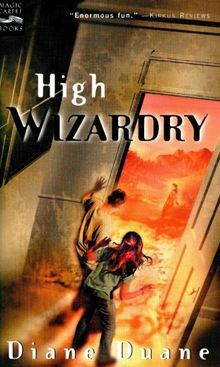 Book 4 (A Wizard Abroad) really lagged near the end. I’ve actually already read book 3, but I am collecting specifically this edition of the series, and it’s a little hard to find because they’ve recently been re-released with new cover illustrations. This purchase completes my collection through book 4. Cover Talk: I feel like I really should prefer the new covers, as they are much more painterly and illustration-y, which is supposed to be my thing. With covers, though, it really comes down to what you read first. Also, something about the photographic quality of my favorite edition of covers really works to enhance the seriousness and real-world aspects of the series, whereas the new covers are just too cutesy and stylized to take themselves seriously (http://bowjamesbow.ca/images/young-wizards-1-3.jpg). Also, I just want all the books on my shelf to match. 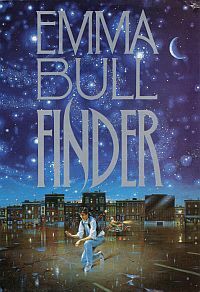 Emma Bull does urban fantasy. I really enjoyed War for the Oaks. I couldn’t get into Territory, but maybe I didn’t give it enough of a chance. I’ve been meaning to read more of her stuff, and I’m hoping this will be a good one. Already, the first few pages were exciting. 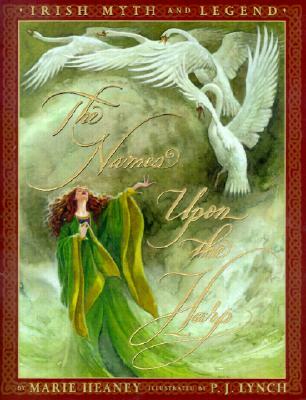 It’s about Ireland and it has the word “harp” in the title. Need I say more? Also, the illustrations are incredible, and Heaney re-tells several of the Irish tales that I am struggling to re-tell in Wanderlust. I didn’t bring any of the scholarly source materiel for these stories with me on my trip, and I’m hoping that reading someone else’s retelling will help me figure out how I want to do it, or at least give me some inspiration to get started again (I don’t have my marked-up manuscript with me either, but I recall that most of the story sections just had a big note next to them saying something along the lines of TELL THIS BETTER). North Carolina is lovely, and in a few days I hope to tell you about the trip south and driving through mountains and getting to know family members I haven’t met in years and how much fun it is to say “y’all” un-ironically. Some other time, soon. Sometimes I get caught up in what this blog thing should be and forget that all it can be is what I have to give, at any given moment. Today, this is it. P.S. Have you bought anything exciting at a bookstore lately? Feel free to share in the comments. I found most of this review in my drafts, and thought it was too good not to post. It’s been almost two months since I actually read the book, though, which I first mentioned in this post. When you read books as a writer, there are some books that are very encouraging because you think, hey, I could do that. And then there are books that just make you want to cry because how could I ever write a thing so bright? You know you have some grasp of prose and rhythm, a certain understanding of words that allowed you to get this far, but could you possibly write a thing where nearly every sentence is the kind that pierces and burns? These are the thoughts I had while reading Breadcrumbs by Anne Ursu. At least three sentences per page are absolute gems, or daggers. 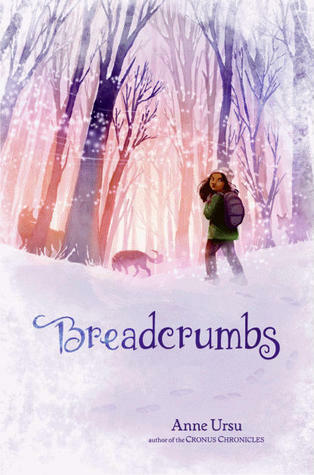 In Breadcrumbs Ursu references many favorite books for young people that the main character, Hazel, has read. Usually these sorts of references in a book make me cringe, because the book has not earned the right to talk about its betters. I feel that Breadcrumbs actually earned those references. While reading this book, I thought about reading it aloud. I thought about reading it to my children (after reading them Tolkien and Narnia and Wrinkle in Time and Potter and all those things it references). The thing with Breadcrumbs is it’s exceptionally literary. It has all those connecty-bits, all those symbolism-things, all those deep-truthisms about childhood and growing up. It has… breadcrumbs of all the above, little pieces, interwoven thoughout everything. In the interest of a fair review, I checked out some amazon.com reviews (if I ever get to be a famous writer, I am going to obsess over my reviews. I already read reviews of books I adore and get all angry at the bad ones). It has many many positive reviews… and a few really bad ones. The bad reviews’ main complaint seems to be that Hazel herself, and all the characters, aren’t very likable. Okay. Honestly? The words were so goddamn pretty all the time that I wasn’t thinking too much about Hazel and whether I liked her. The reviewers complain that she is self-centered, but isn’t everyone at that age? Isn’t everyone, ever? And I did like Hazel. I like Hazel in the narrative voice, loved it every time the narration switched to second person to portray her thoughts. I do think the most beautiful thing here is the way Anne Ursu handles words, but for me that beauty extends generously, and is more than large enough to fill the main character and cover her thoughts and words.